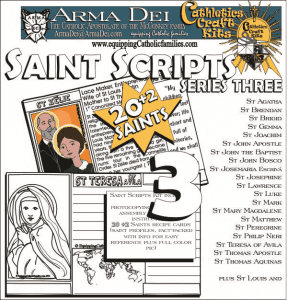 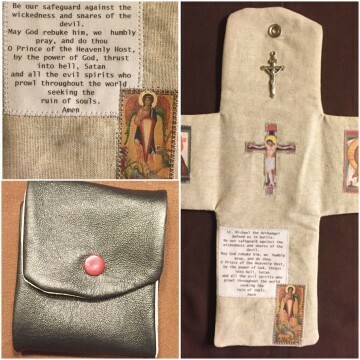 These pocket oratories are made to enhance people’s prayer lives. They are made of linen on the inside and wool felt on the outside. 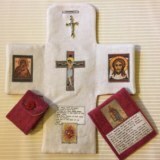 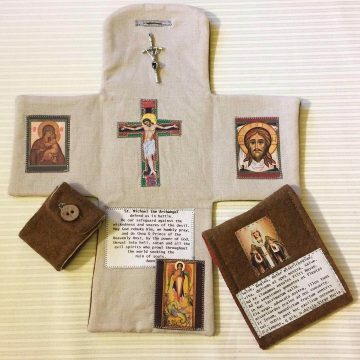 These handmade triptych pocket oratories all have icons as well as either the sacred or immaculate heart plus a prayer. 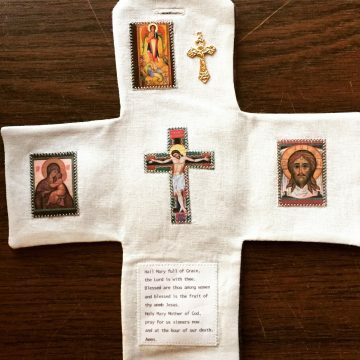 Most of them also have a crucifix. 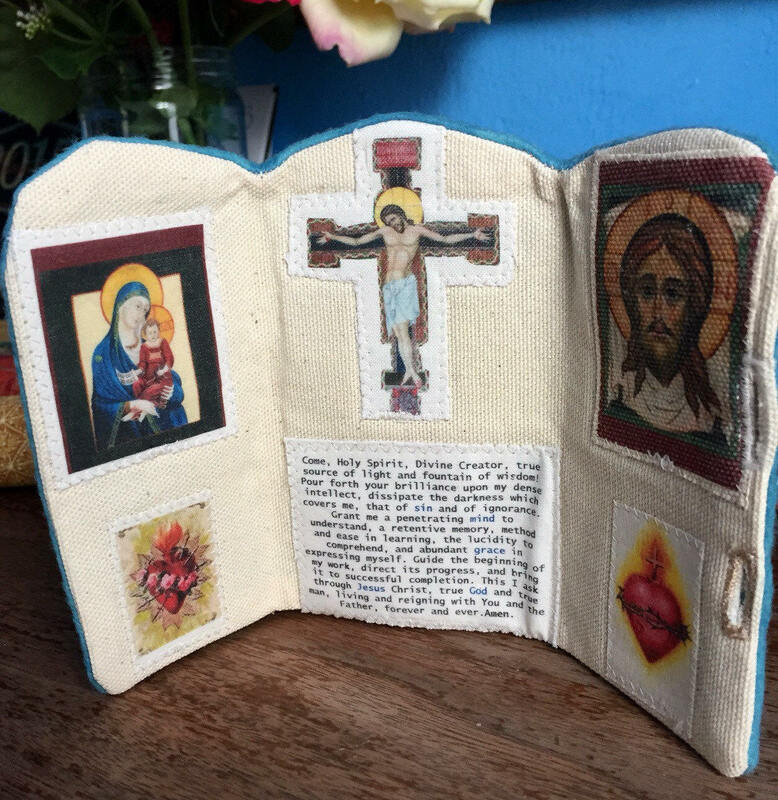 Measures approximately 3×5 inches when closed.